As so often happens with planning issues in Stockport under this LibDem administration, the needs of local people are trampled over. Their concerns about flooding, contamination, loss of public open space, loss of amenity, traffic issues - all swept under the carpet by the arrogant councillors who hold the reins of power. This councillor opposite tried his very best for local people at the meeting. 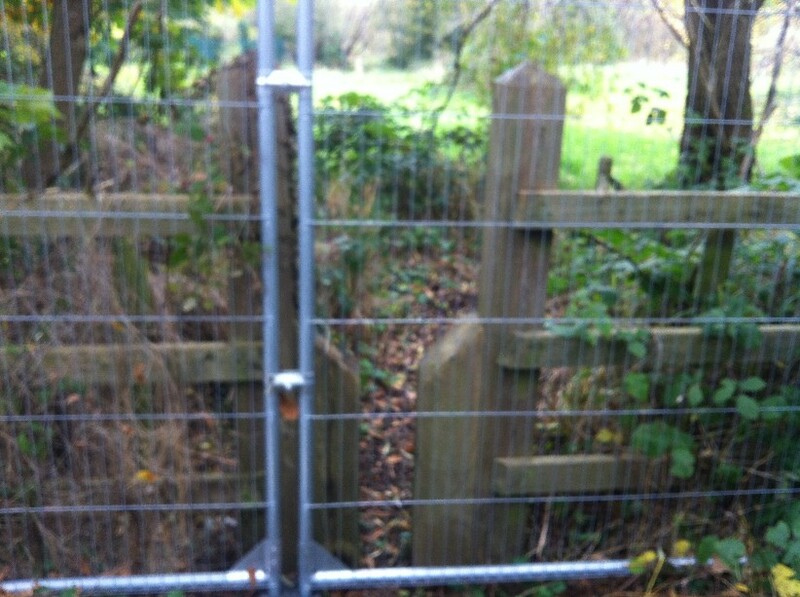 A footpath which has been in use for 40 years simply blocked up without so much as a by your leave. 11th September 2012. 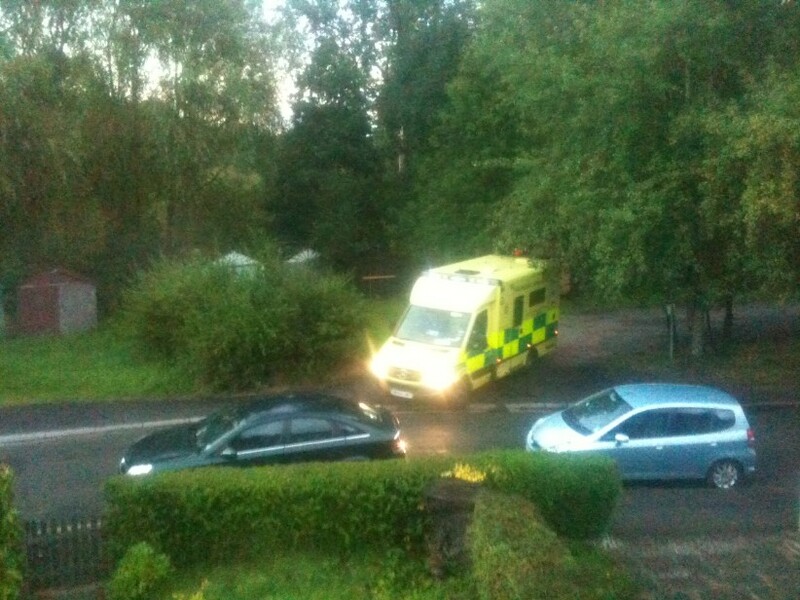 Just days after the lazy area committee members refuse a site visit to see for themselves the dangerous traffic situation, and even before the new houses are built, an ambulance struggles to reach a seriously ill patient. 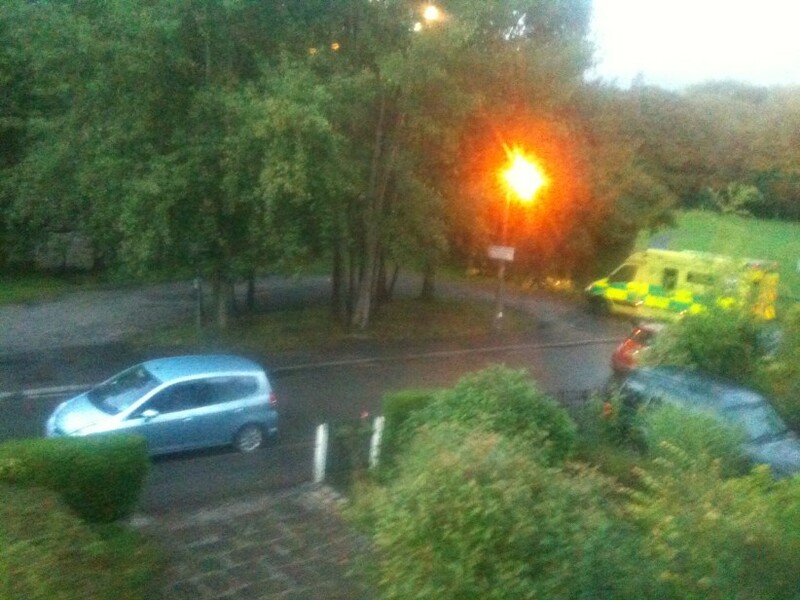 The ambulances uses the existing garage area to get past. 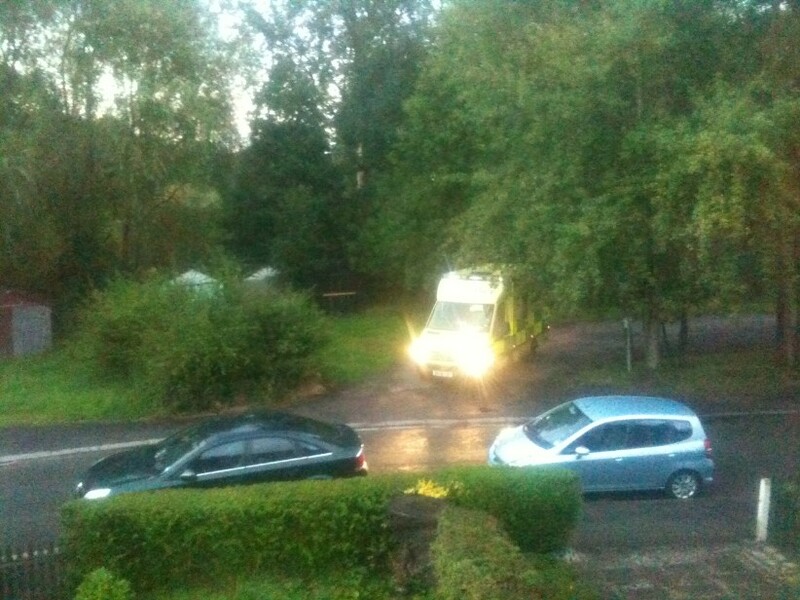 In future this area will be full of houses with the concomittant extra cars parked. 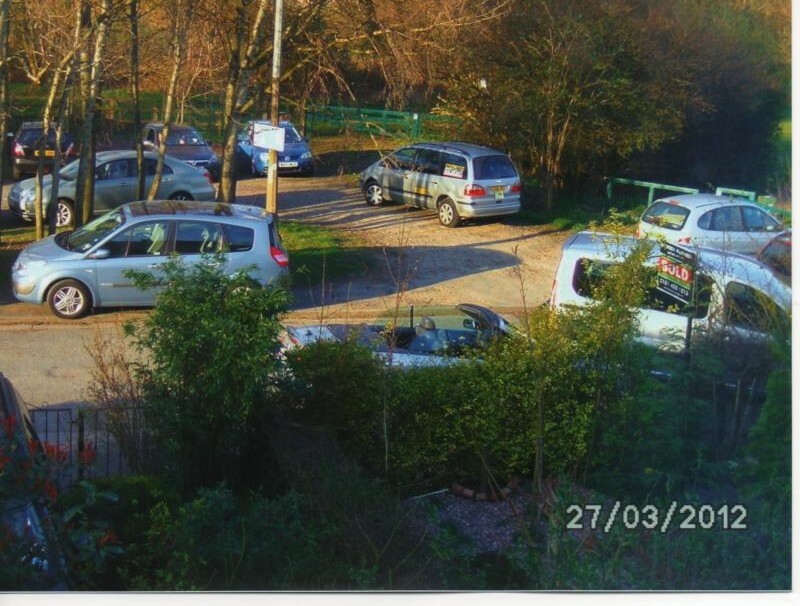 They put six car parking spaces on the planning documents but in reality there was never any intention to provide them. 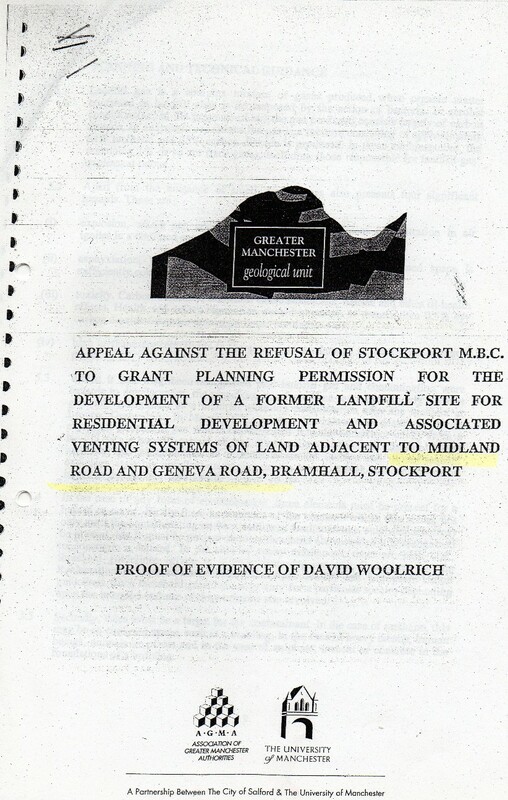 More evidence of the corrupt manner in which planning is run in Stockport. Click opposite to read the report. 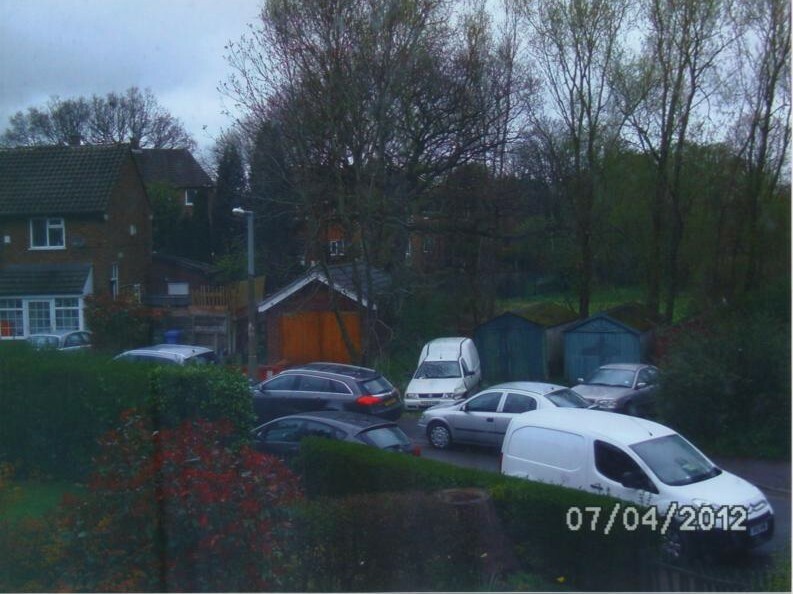 Apparently, these asbestos garages standing in way of housebuilding much wanted by Stockport Council are a severe threat to the health of local people from asbestos. 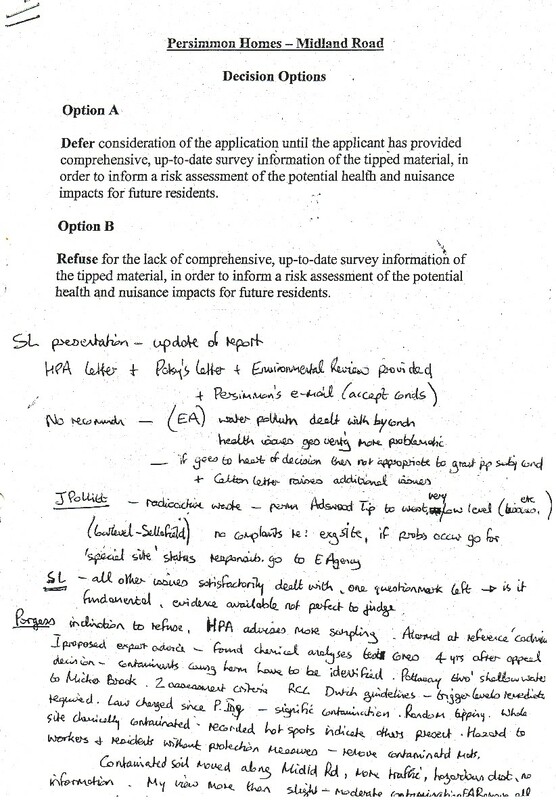 The LibDem councillors who passed this application couldn't have cared any less about the existing traffic problems for local residents, which there were about to make much, much worse by the building of houses on this land. Is the land public open space? 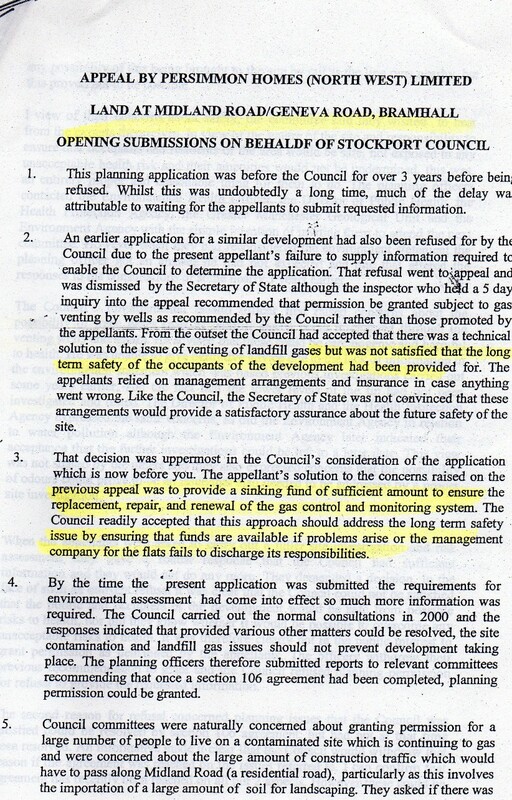 We don't know yet because the planning officers refused to respond, as is normal in Stockport. 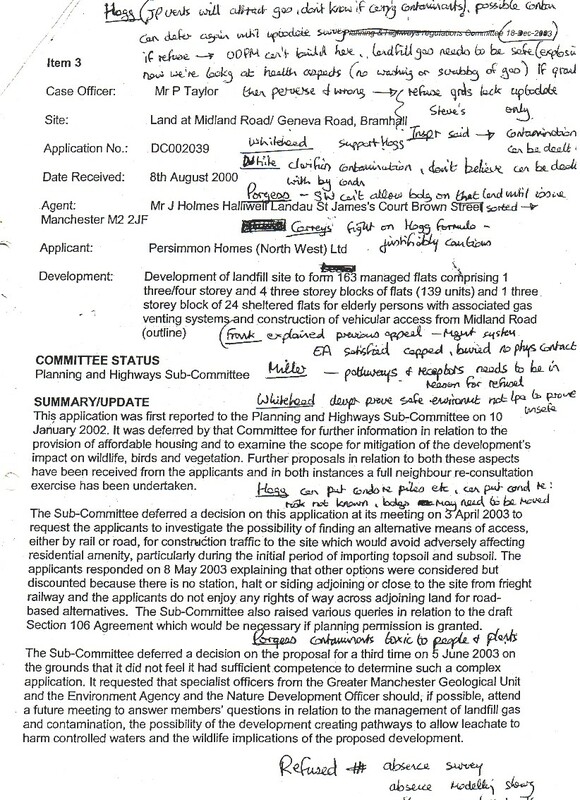 Local people requested a site visit before the application to build houses here was passed. 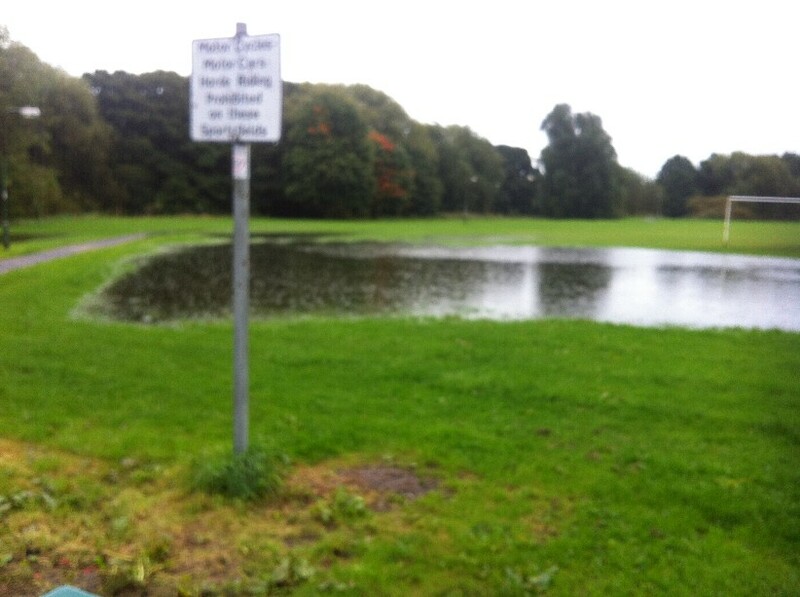 They were concerned about flooding; loss of public open space, loss of amenity, traffic and contamination issues. 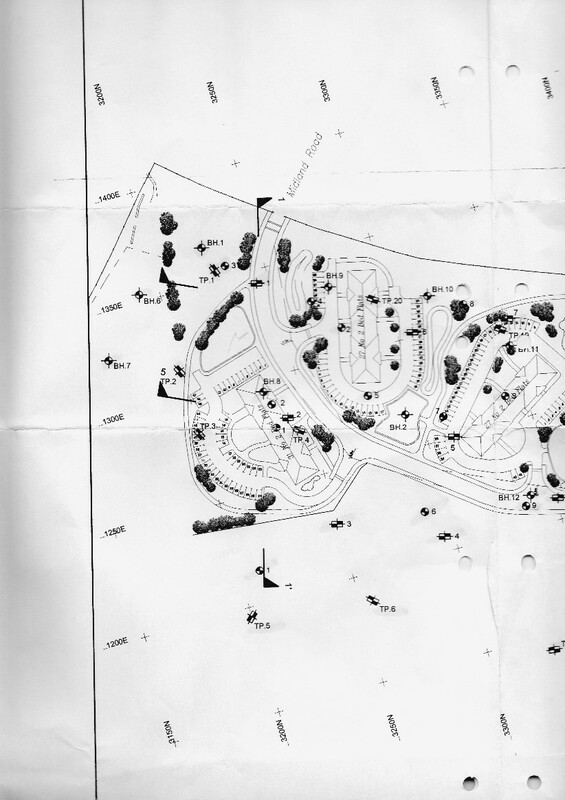 Even though most of the the area committee members admitted they were unfamiliar with the site in question a site visit was refused. Some of the committee members wanted a site visit but were overruled. 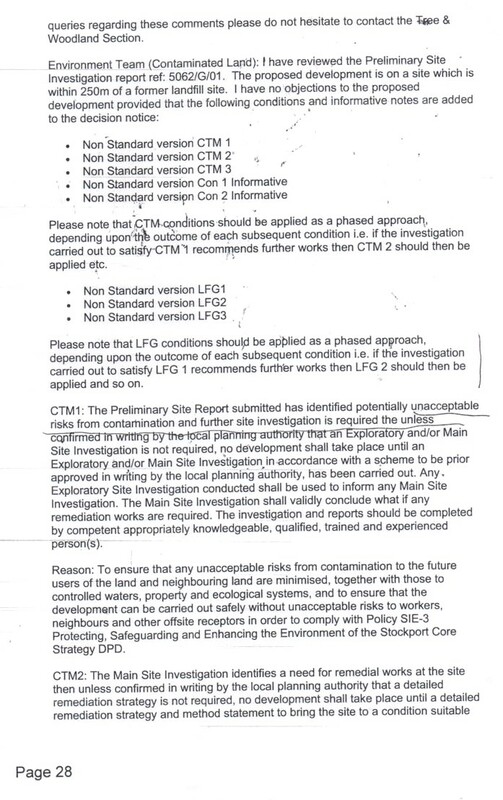 The planning document below points to the land being contaminated, but Stockport Council is pretending that isn't the case. 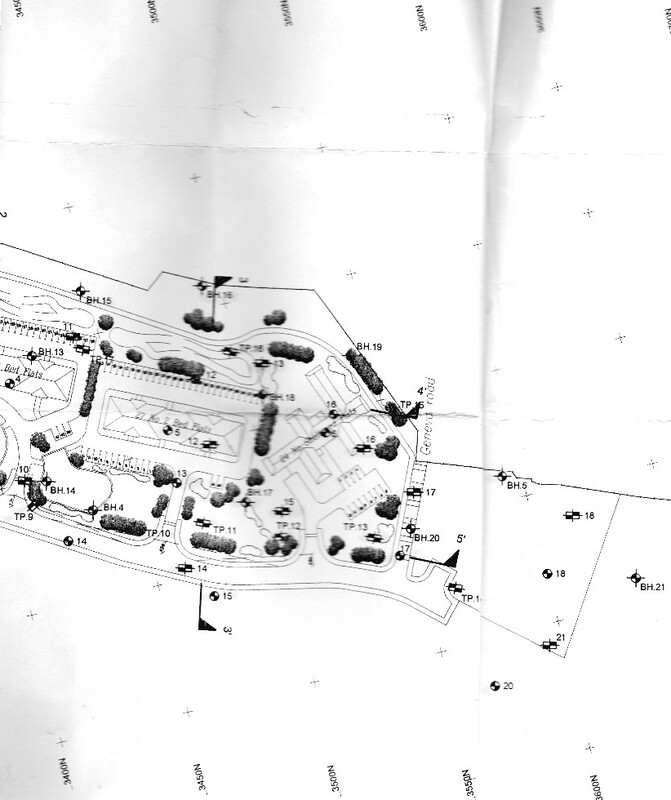 Below is a map showing some of the hundreds of contamination investigations points carried out at the Adswood site which went on for over a decade. 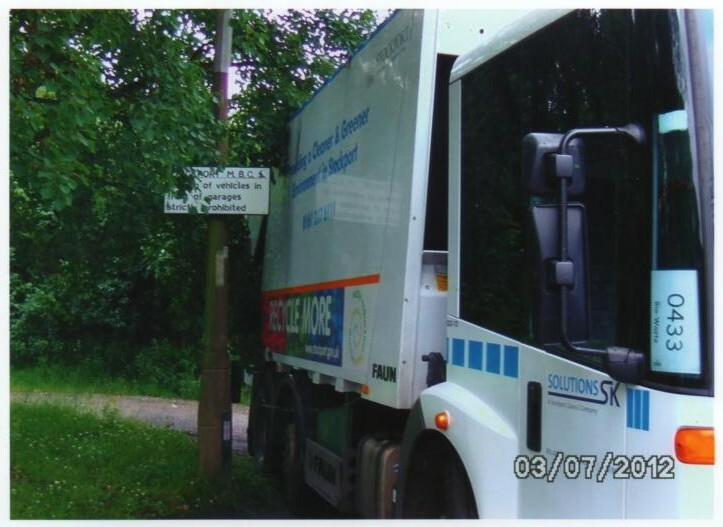 Contamination survey in the surrounding area close to the Adswood tip. 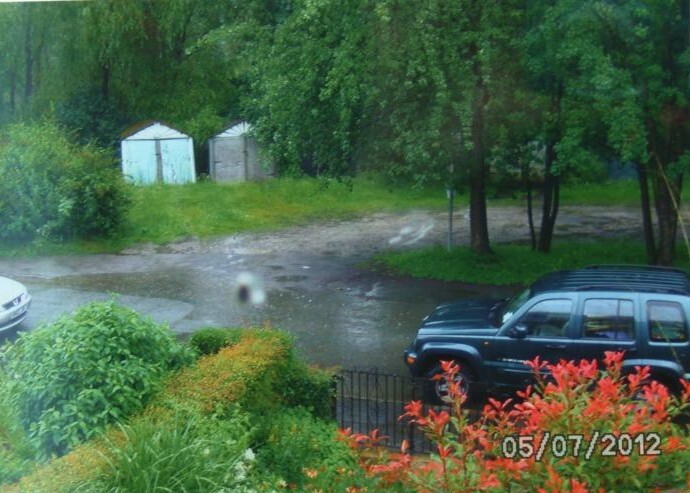 More concerns about the nearby contamination. 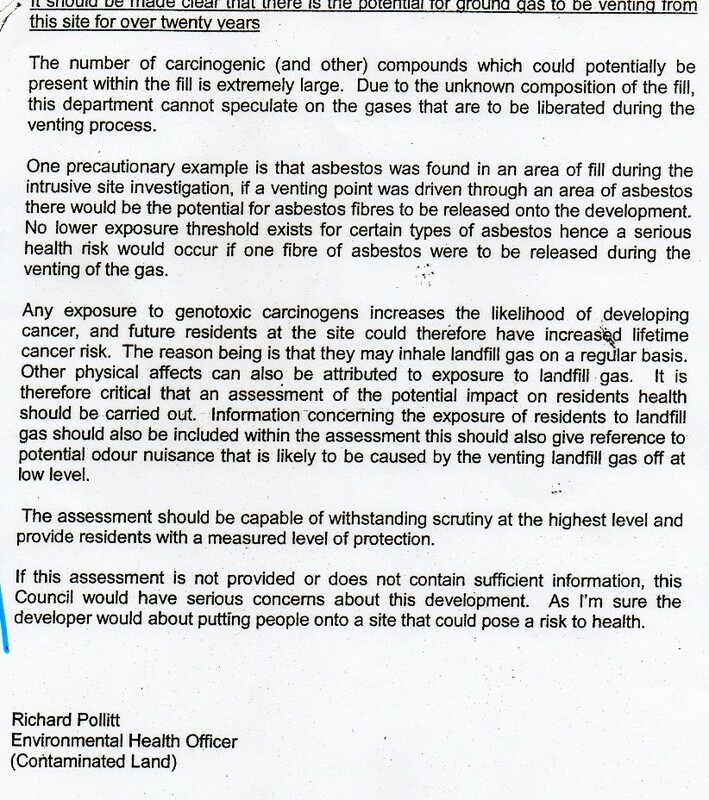 Mark Hunter, the local MP, is very concerned about the contamination dangers. Radioactive waste was believed to be at the tip. 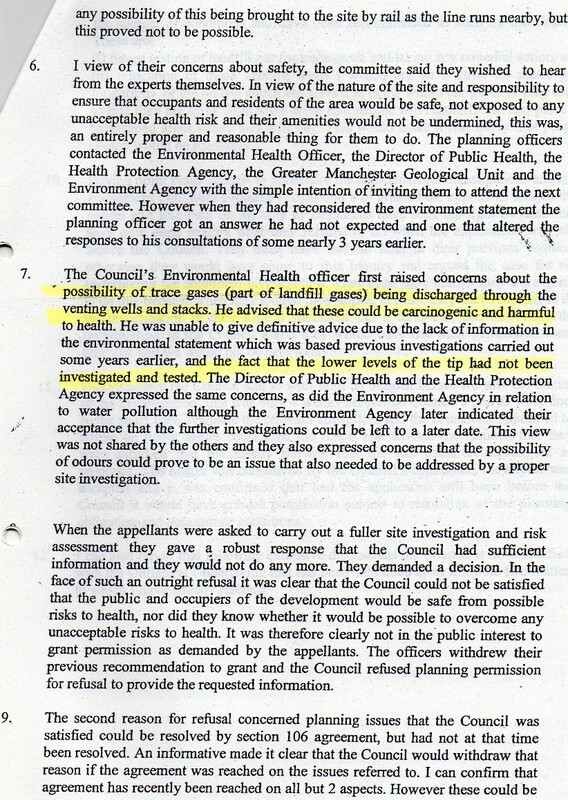 Again, the grave concern shown by local MP Mark Hunter with regards to contamination from the site. 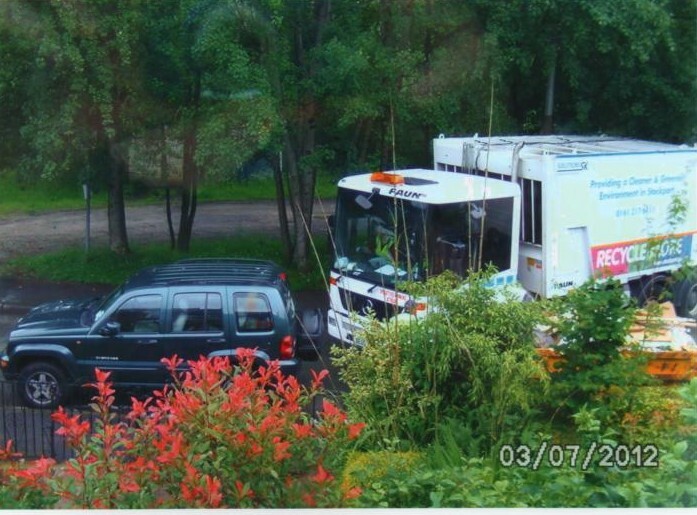 The SK Solutions bin lorry regularly gets stuck, even before the new housing is built. 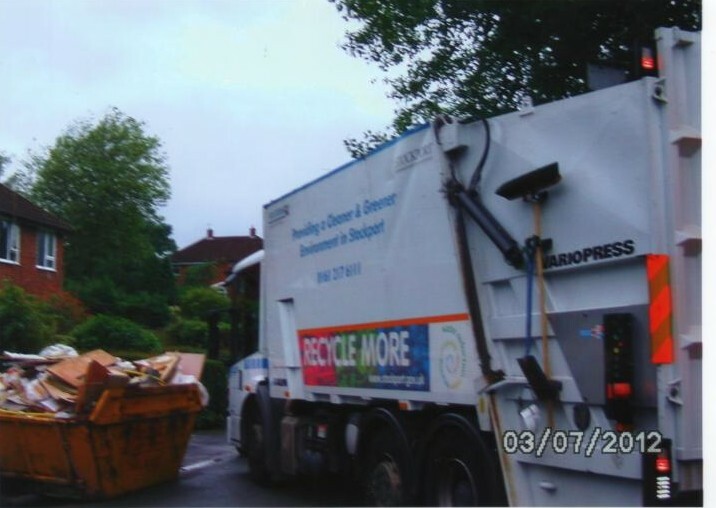 Still with the idiotic LibDems in charge of our council and the mess they have made with their arms length management organisation SK Solutions, there may be no bin collections anyway in future - who knows! "In addition to private parking provision, an extra six spaces are proposed to the south west of the site, outside of the development. These spaces are to cater for increased playing field parking, a request of the local neighbours surrounding the development. The site access from Sandringham Road remains unchanged and allows for suitable turning space and safe access fordelivery, emergency and collection vehicles." If the above photos show a suitable turning space and safe access for delivery, emergency and collection vehicles, then I am a Dutchman! As always with planning in Stockport under the LibDems, everything is completely made up. If the above land is public open space, they won't be able to build housing on it anyway without going through a complicated legal process, which I suspect they want to avoid. 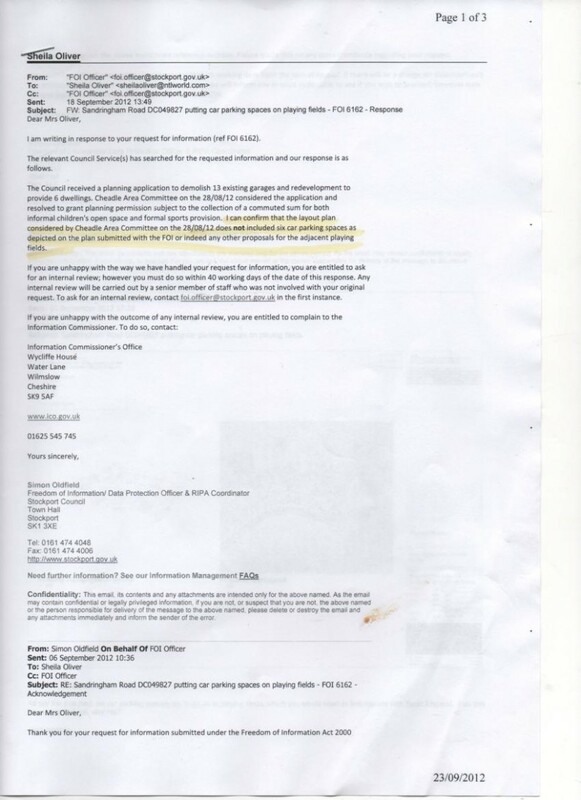 The planning officers simply won't respond to the questions of local residents on this subject. 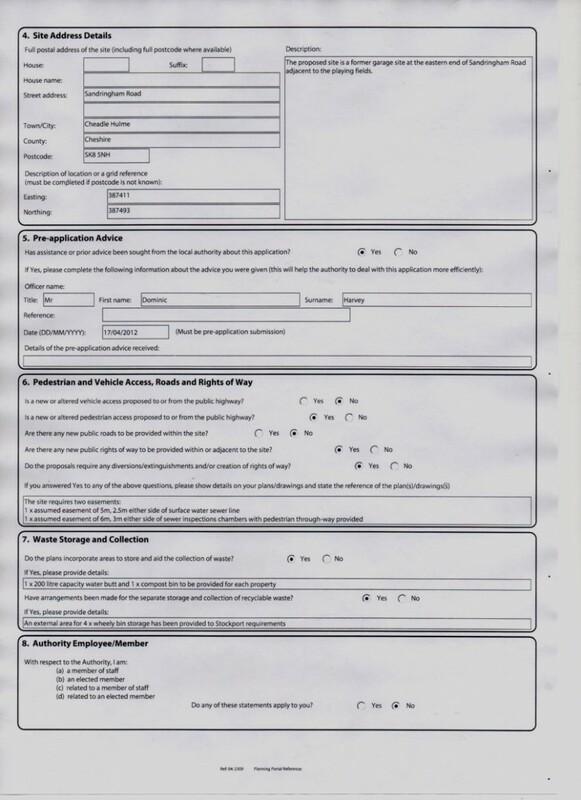 I have made a Freedom of Information Request and Environmental Regulations 2004 request to try to find out the true situation on 2nd September 2012. No doubt they will brand me "vexatious" for asking. 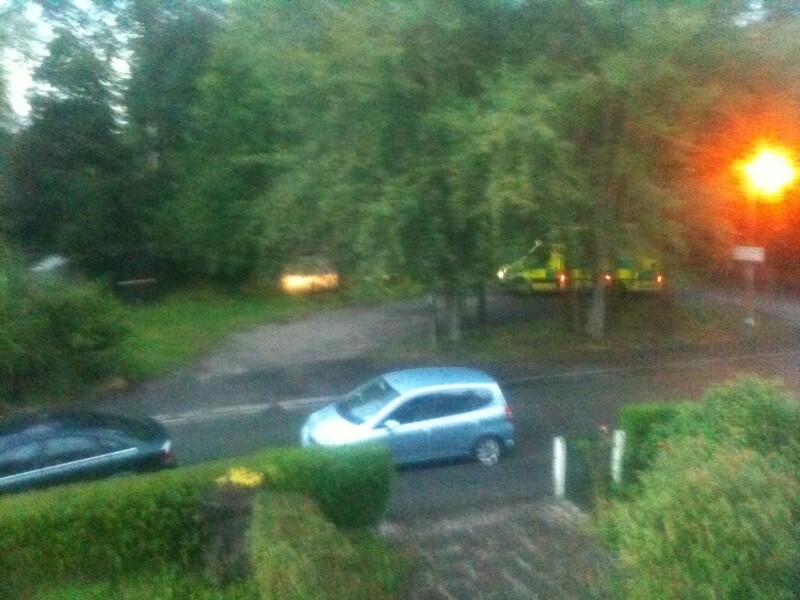 Is no local open space or green lung safe from these idiotic LibDems who rule our town? 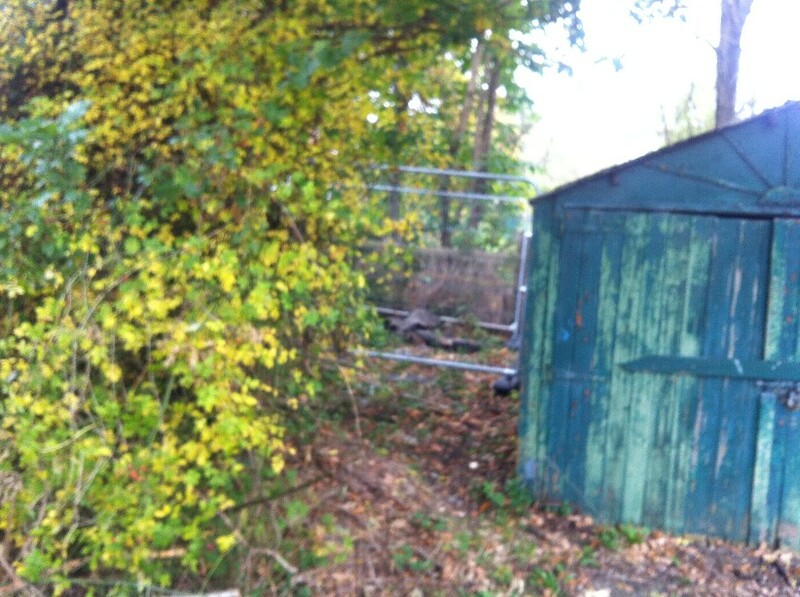 The to be demolished garages are much needed and people using them are being treated in a high-handed manner by Stockport Council. 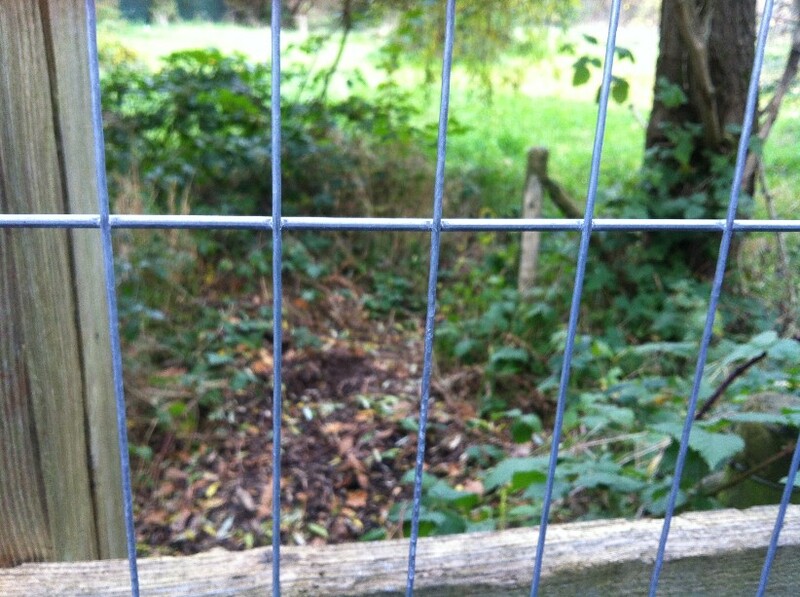 The building of any dwellings at Sandringham Road would impact on the health and safety of the local residents. Congestion on the road is already diabolical due to the numbers of parked cars and traffic the sports field attracts - see photos above. 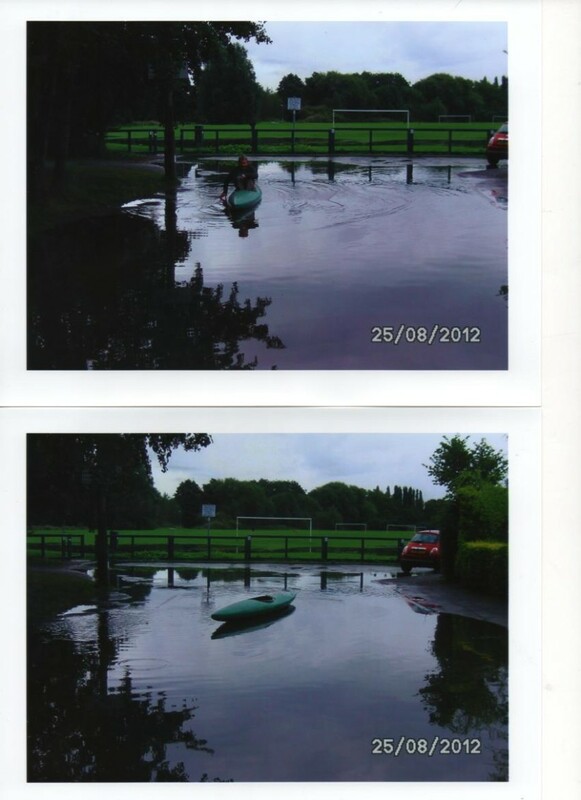 Drainaged problems - see photos of the canoe above. 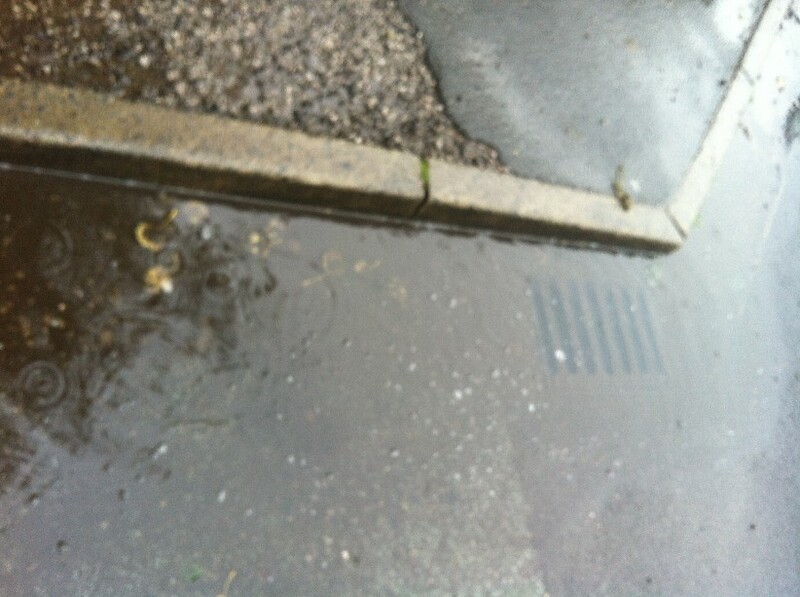 The river rising and flooding the land under the garages and forecourt. Toxic waste fromt he Tenement Lane tip, and the small bore for the sewage system that already struggles to cope. 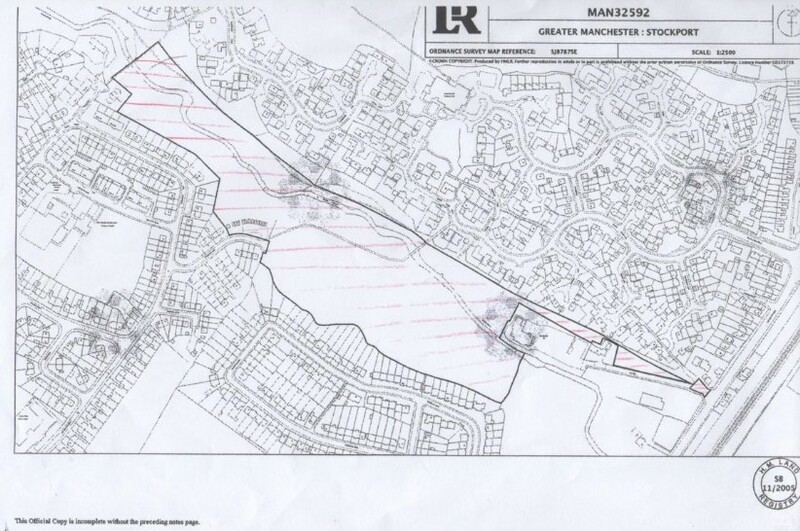 The planning documents for this development - please click here. 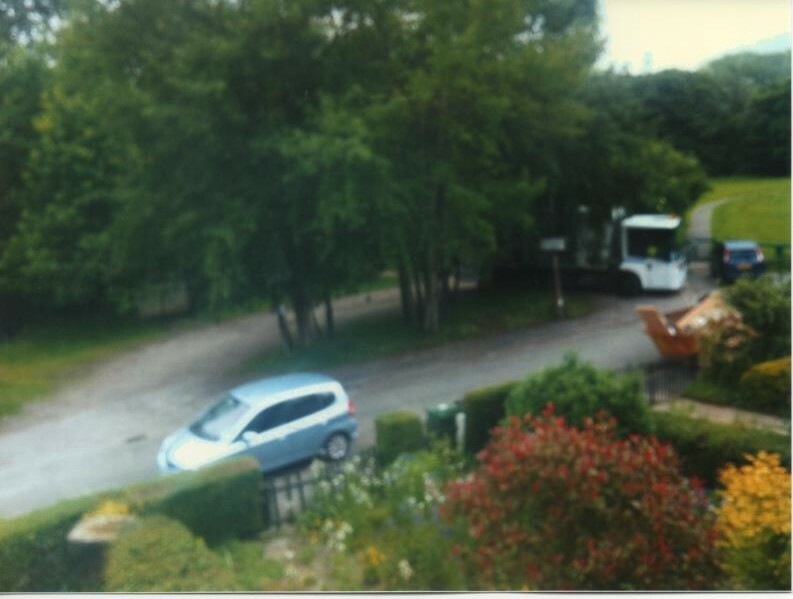 Dominic Harvey is the planning officer dealing with this case. Pozzoni LLP claim there is to be a change of land use from industrial to residential. As far as I can see the land wasn't industrial previously. 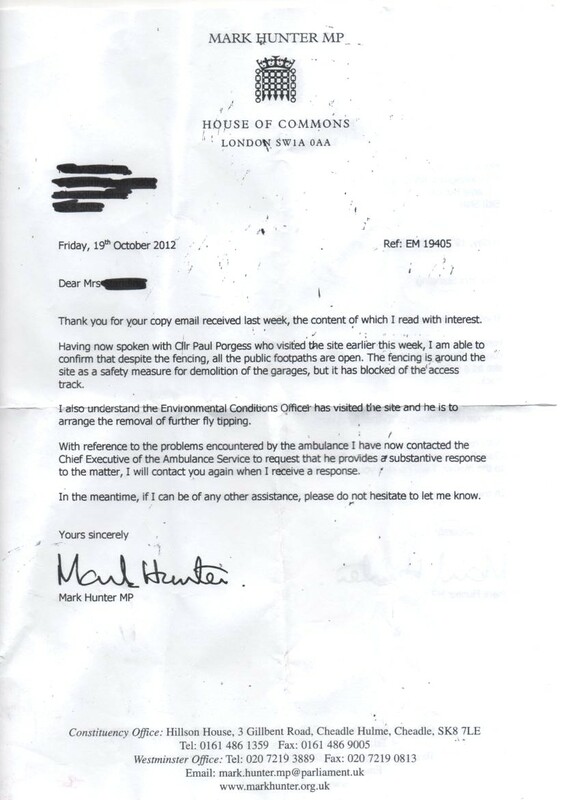 I have asked Dominic Harvey, planning officer, on 2nd September 2012 to clarify this matter for me and I shall post up his response. 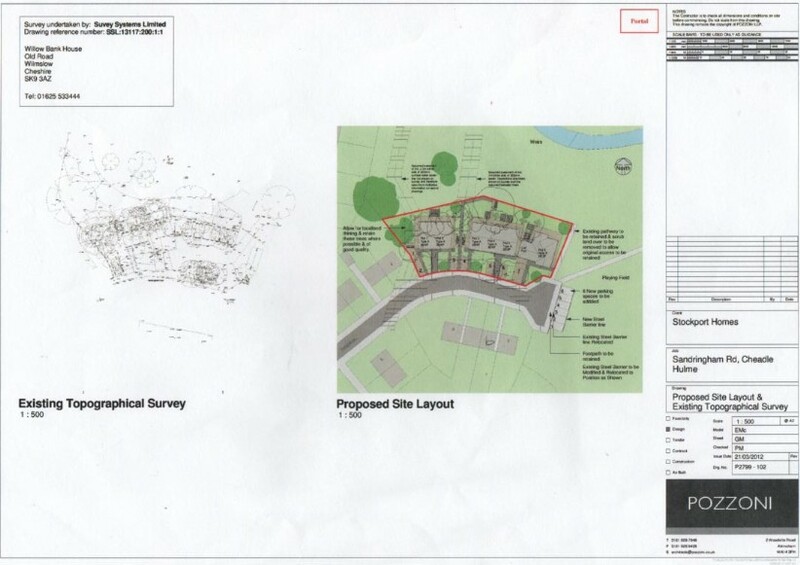 dwelling is being proposed, with adequate parking and garden space for each property. 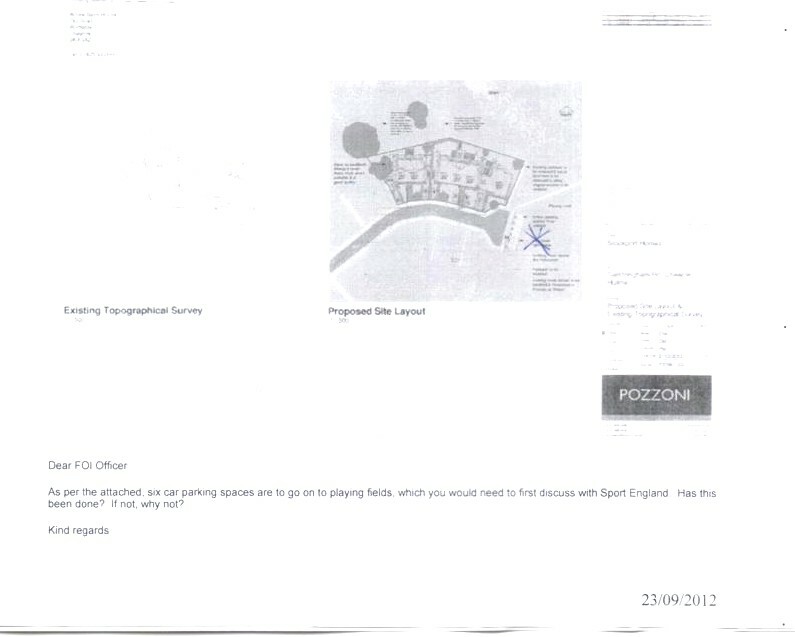 On 2nd of September 2012 I asked planning officer, Dominic Harvey, for details of this proposed additional parking to cater for the playing fields and shall post up his reply. Click opposite to see Stockport Homes' accounts for 2010.